Jesus is speaking to us here and now. an exercise to "try on" one of the main ideas of the passage in our daily lives. Meeting God in Scripture moves us beyond merely understanding what the text meant in its original context to a direct spiritual encounter with Christ. 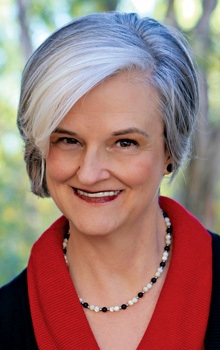 "Jan Johnson has a particular anointed genius for guiding people into interaction with the living God through his Word. Her winsome, accessible lectio divina exercises have been invaluable to the students at the Renovaré Institute for Christian Spiritual Formation, and it's exciting to see her guides become more widely available. Meeting God in Scripture is a real gift for any of us who desire to spend more time with—and deepen our friendship with—the triune God." 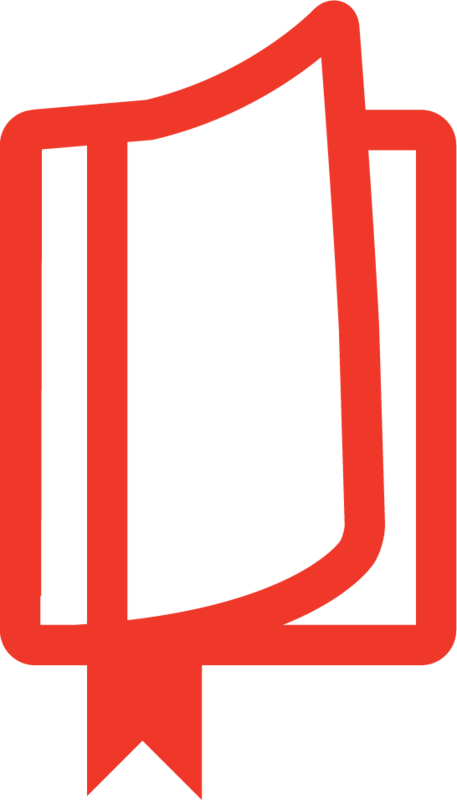 "Jan does something few contemporary lectio guides do: she preserves the discipline of study that was part of the ancient tradition of lectio divina by providing historical and cultural background for the chosen texts. Her selection of passages is nothing short of brilliant—theologically central, experientially deep, and comprehensively transformational. This guide can be the spark that causes the Word of God to be a fire in your bones once again." 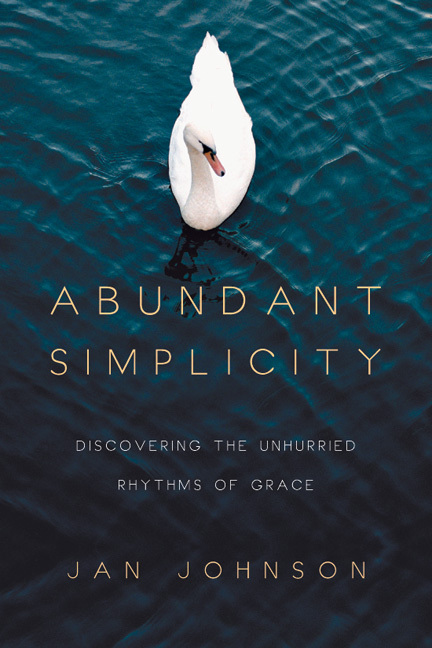 "In her writing as in person, Jan Johnson finds ordinary ways to guide us into extraordinary experiences—into the very presence of God—with an attentive ear for what God may have to say. 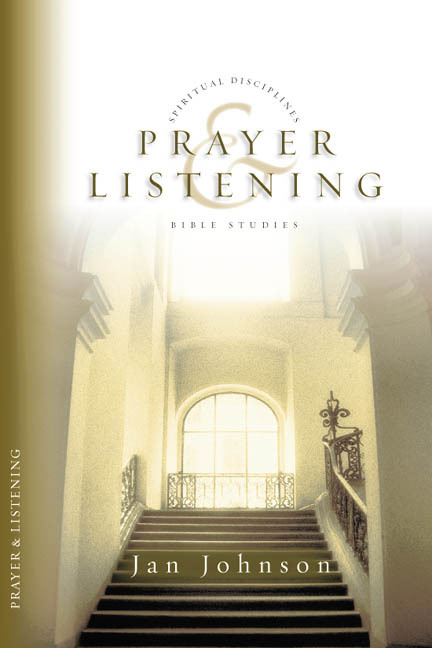 What a personal yet practical way to bring the practice of lectio divina into daily life! The coaching Jan provides is spot-on soul guidance and will most certainly help readers greatly increase their capacity for meeting God in Scripture." 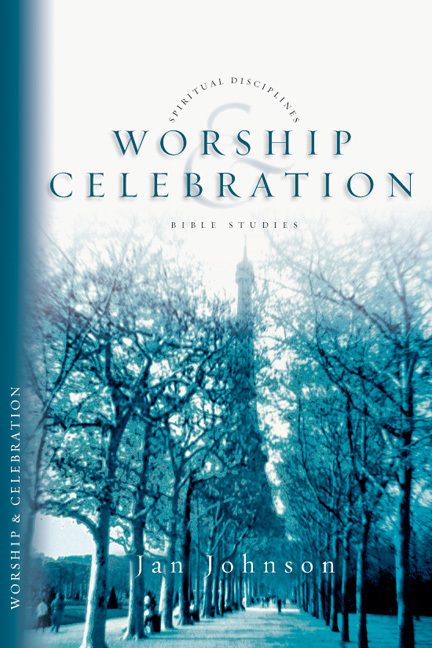 "Finally, a book about engaging Scripture for personal and group transformation has arrived! Jan Johnson has done a great service for evangelicals who have lost an imagination for reading the Bible outside of study or quick inspiration. Meeting God in Scripture is a beautiful reclaiming of lectio divina for our time. Read, ponder, pray, and meditate on the beauty of Scripture as described in these pages and prepare to be changed!" "What a great title—and what a great book! 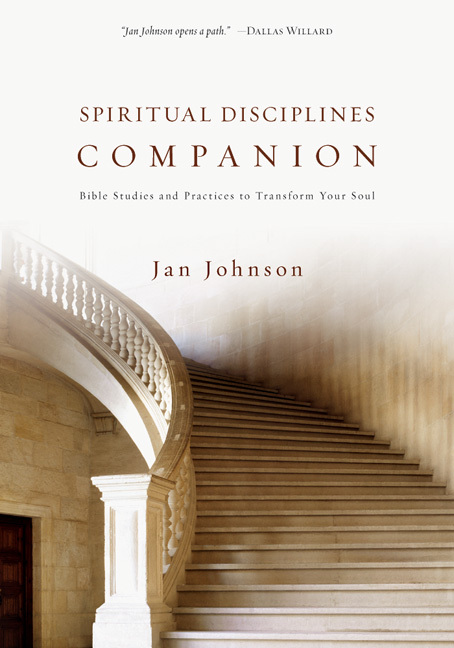 God delights to meet with his children in Scripture, and if you're ready to try out a different approach, let Jan Johnson, an experienced and trusted Bible teacher, lead the way with this sound and practical guide. 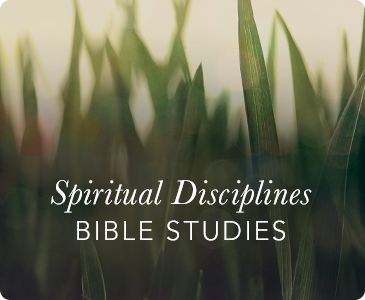 You'll have the opportunity to meditate on thematically arranged passages from various sections of the whole Bible. I really appreciated the just-enough background comments that helped illuminate key words or concepts so that I could put aside immediate questions and enter more fully into the passage. The structured framework and thoughtful questions prodded my pondering to allow God's work in my heart. 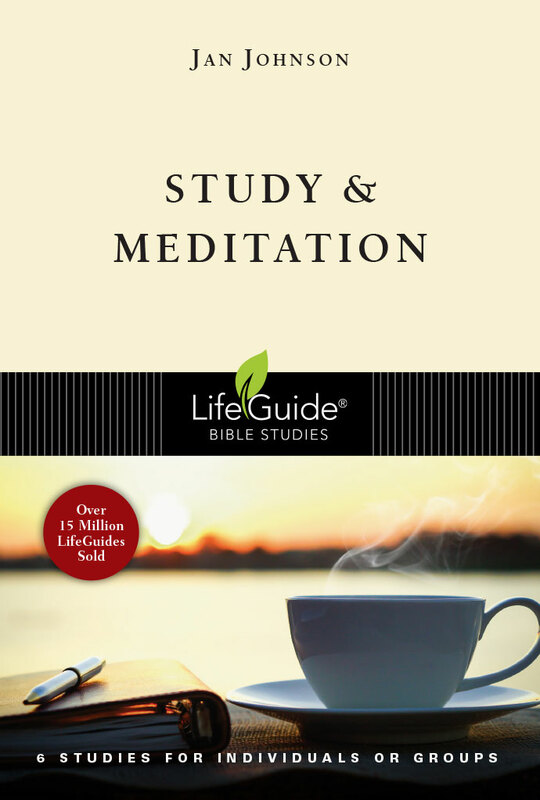 This guidebook offers nourishing soul food for those with little or much experience in Bible meditation, individually or in a group setting." "What a great help! Jan is truly a thoughtful and trusted guide. I love the way this book is laid out and the overarching direction it takes us in. 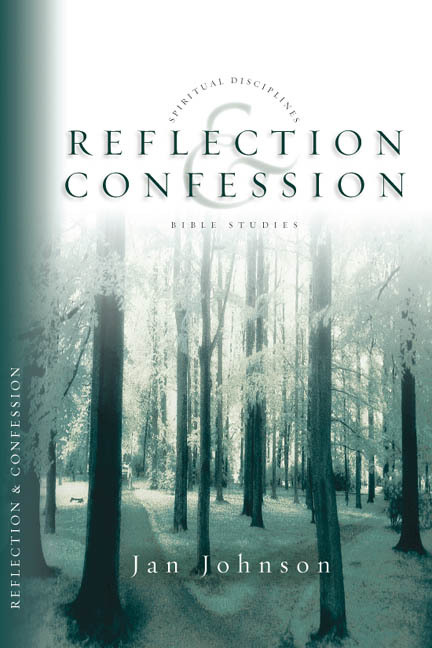 Carefully working through this book will change your life." 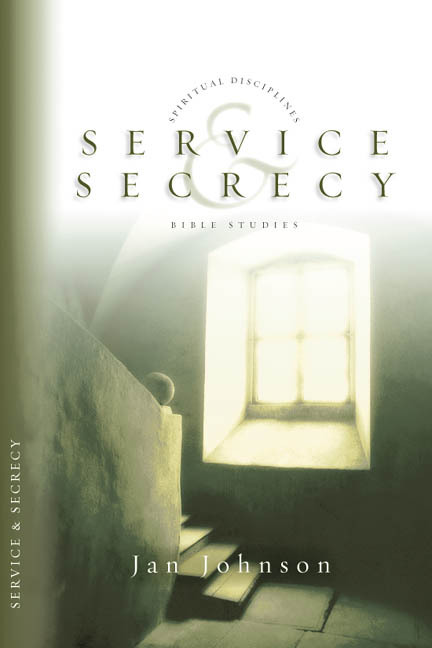 "Jesus spoke of the wise disciple who 'brings out of his storeroom new treasures as well as old,' and this book does just that. It helps the follower of Jesus practice the call of Scripture to be people who meditate frequently on God's truth. 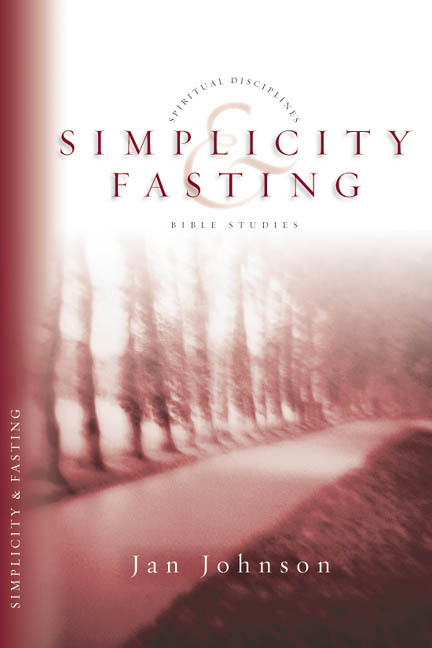 The guidance given here is both time-tested by respected ancient writers and practice-tested in everyday life, as this book has grown out of years of fruitful Bible study leadership. 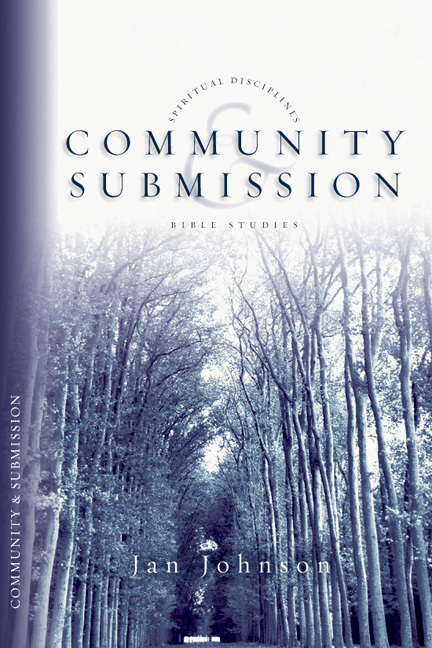 There is a thoughtful grounding of the prayer and meditation exercises in the historical meaning of the text." "I've found encountering God in Scripture to be my favorite and most life-giving spiritual practice. 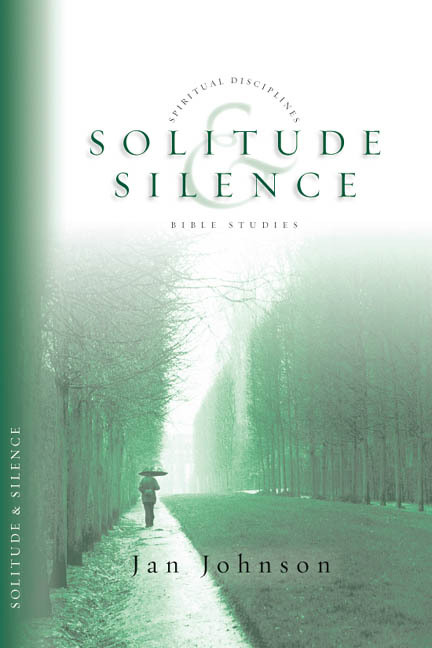 In Meeting God in Scripture, Jan serves us as a seasoned guide to the classic spiritual practice of lectio divina through these forty well-crafted and inviting meditations. More than an idea book, this is an experience book. I hope you'll read it and grow in your enjoyment of God in Scripture." "Jan Johnson has written a wonderful and clear guide to lectio divina. . . . [It] will be of tremendous help to everyone desiring to know God more deeply and to become more like Jesus." 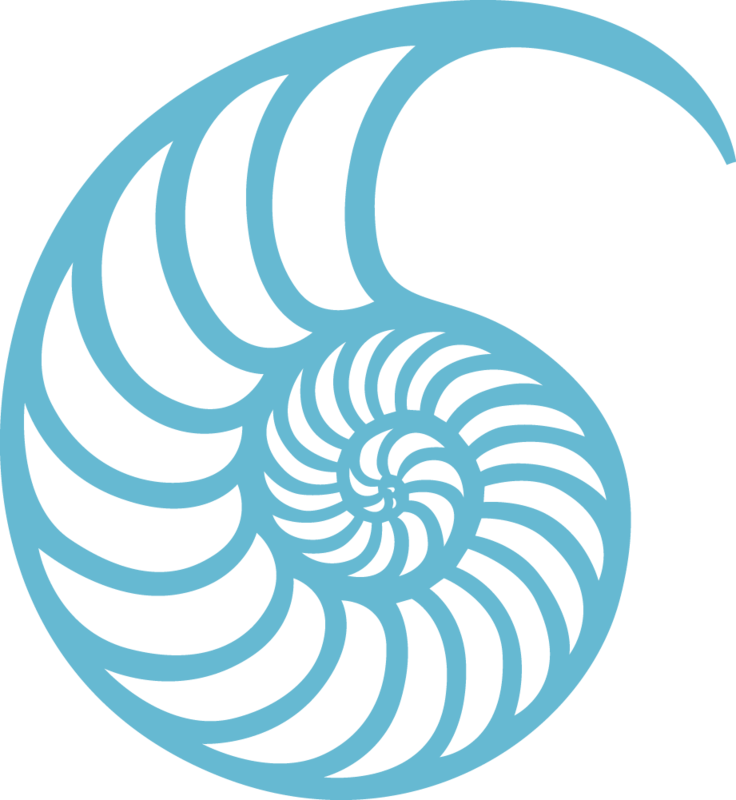 "When we experience abandonment, we look for guideposts to bring about renewal. These Scripture meditation exercises invite us into the presence of God, who creates a safe place for us and draws us into a culture for formation and growth." Part I: What Does God Think of Me? Part II: Who Am I and How Do I Fit In? Am I Hearing God or Making Things Up? What If Nothing Comes to Me? 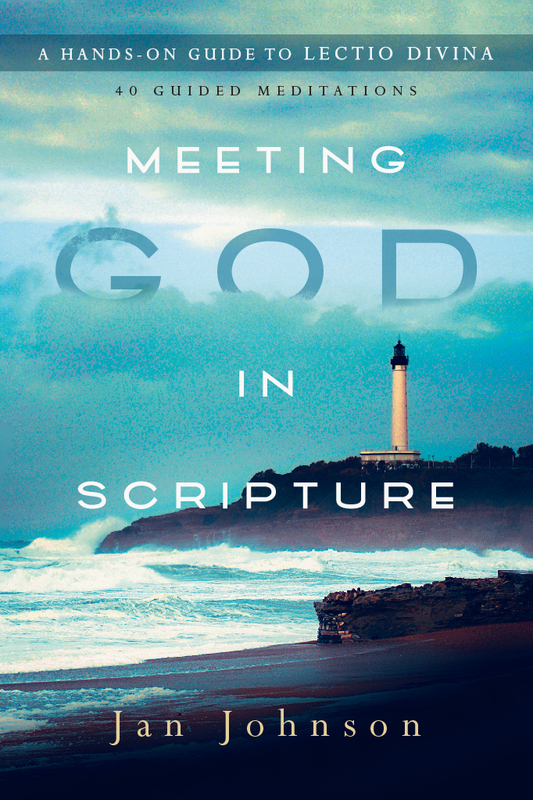 Download the Meeting God in Scripture group guide. Watch author Jan Johnson discuss Meeting God in Scripture, the benefits of meditation and where scripture fits in during this 3-part video workshop.